HTC One ME Dual SIM, the dream smartphone for high-end smartphone lovers finally launched in India featuring 64-bit MediaTek Helio X10 processor, 2TB microSD card slot, Android Lollipop, 5.2”-inch WQHD display, 20-MP +4-UltraPixel camera priced at Rs 40,500 in Meteor Grey, Gold Sepia, and Rose Gold colour option. It will counter Samsung Galaxy S6 and Apple iPhone 6 Plus. The all new HTC One ME Dual SIM supports Fingerprint sensor, Dual SIM, Nano SIM with 4G (FDD and TD-LTE), Wi-Fi, Bluetooth 4.1, Stereo FM radio with RDS, GPS/ A-GPS and NFC offer you a bigger 5.2-inch WQHD (1440×2560 pixels) display with Corning Gorilla Glass 4 delivers stunning colour consistency from almost any angle perfect for watching movies, playing games and reading e-books. 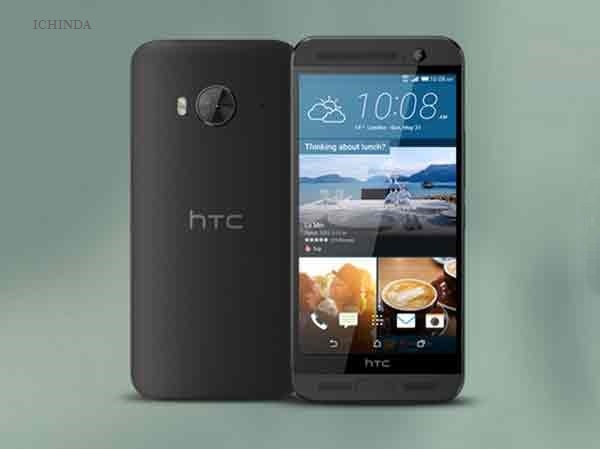 HTC One ME Dual SIM runs on Android 5.0 Lollipop with HTC Sense 7.0 skinned on top powered by 64-bit 2.2 GHz octa-core MediaTek Helio X10 processor promising superior gaming environment and blazing multi-tasking while 3GB of RAM, 32GB Internal memory expandable up to 2TB via MicroSD card offers enough space to store your date. HTC One ME Dual SIM sporting huge a 20-MP Primary depth-sensing camera with dual-LED (dual tone) flash, f/2.2 lens for shooting no need to buy DSLR Camera while 4-UltraPixel front-facing camera perfect for video calling and clicking selfies. It also packed with a 2840mAh battery promising enhanced battery life including HTC BoomSound speakers with Dolby Surround sound measures 150.99×71.99×9.75mm and weight 155gm. At last few honest word from heart that HTC One ME Dual SIM is the best smartphone under Rs 50,000. What you think? Please be open to give your view.